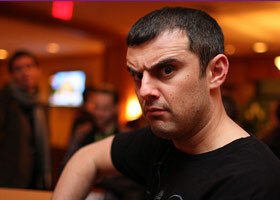 Imagine that Gary Vaynerchuk just became your close friend. Do you think this would change your life somehow? Whether we like it or not, we’re greatly influenced by people around us. There’s nothing we can do to resist that influence, but luckily we have the ability to choose the people who influence us. 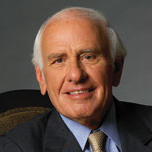 According to Jim Rohn, we’re the average of the five people we spend most of our time with. But don’t worry, I’m not going to suggest you to ditch all your under-performing friends all of a sudden. Instead, I want to remind you of the importance of expanding your network and connecting with new interesting people who will influence you in a positive way. 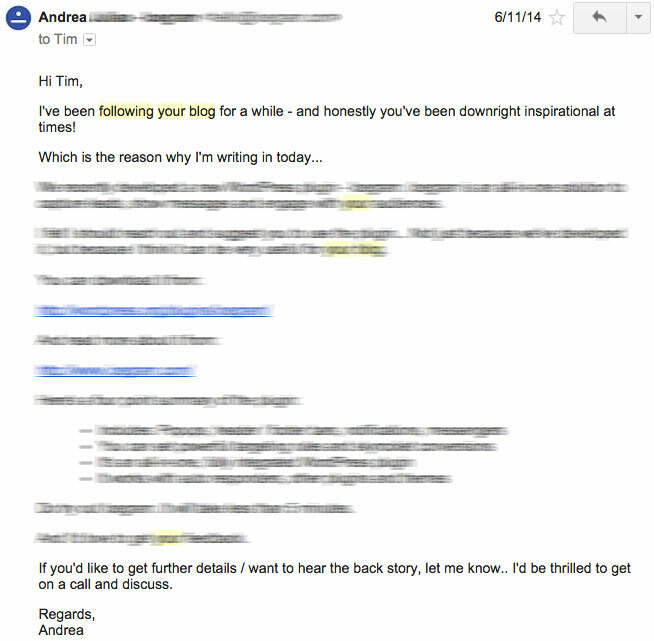 Let’s be even more specific – I want to talk about “blogger outreach“. There are a few very effective hacks that I want to share with you today and some actual blogger outreach examples to support them. Note: just in case you’re interested, I’ve used my WordPress plugin called TweetDis to create these fancy tweetable quotes. Have you ever heard of the “Ben Franklin effect”? It’s a fun psychological phenomenon, which suggests that a person who has done a small favour for someone is more likely to do another favour for that person than they would be if they had actually RECEIVED a favor from that person. Having heard that he had in his library a certain very scarce and curious book, I wrote a note to him, expressing my desire of perusing that book, and requesting he would do me the favour of lending it to me for a few days. He sent it immediately, and I return’d it in about a week with another note, expressing strongly my sense of the favour. When we next met in the House, he spoke to me (which he had never done before), and with great civility; and he ever after manifested a readiness to serve me on all occasions, so that we became great friends, and our friendship continued to his death. I’ve used this little hack to connect with Sue Anne Dunlevie of Successful Blogging. As I was checking out people who have tweeted my articles I found her blog and I was amazed by the numbers that I saw on her “pin” buttons. As you can see, I didn’t actually ask for much – just to share a few links with me where I could read about her strategies. To this date we’ve exchanged 16 emails with Sue and I’ve learned quite a few tips from her (plus got a guest post invitation). Let’s be honest. Most of the time we reach out to influential people because we want them to share our articles, right? WHY would they want to share it? There are millions of articles published on millions of blogs every single day. Why do you think that your article is the one worthy of their tweet? Well, maybe you have some reasoning behind it? This short phrase tells Jimmy that I actually follow Vero blog, because quite recently they’ve published a totally epic email marketing guide and followed up with a detailed breakdown of that epic guide. So that’s my REASON of reaching out to him. I know that Jimmy loves epic articles and I just published one on my blog. EXTRA TIP: You should never use phrases like “I’ve been following your blog for a while” or “I’m your long time reader”, because too many people have abused them. Even if you’re telling the truth, you will still trigger a person’s internal “spammer detection”. …pitch me their WordPress plugin with a long canned email. I really doubt that a person who has been “following my blog for a while” would do this to me. That is a perfect example of “social proof”. Why Jimmy should care about my article? Because the top SEO community of this planet considered it good enough to include in their weekly newsletter! Ok. But what if Moz didn’t feature your article? Well, maybe someone influential tweeted it? Or maybe some popular blog linked to it? Or it got upvoted like crazy at inbound.org? Or it got over 200 shares on Facebook? Is there ANYTHING about your article that proves that you’re not the only one who thinks that it’s cool? I noticed Jimmy mentioning Brian Dean’s famous “Skyscraper Technique” which meant that he enjoyed it. 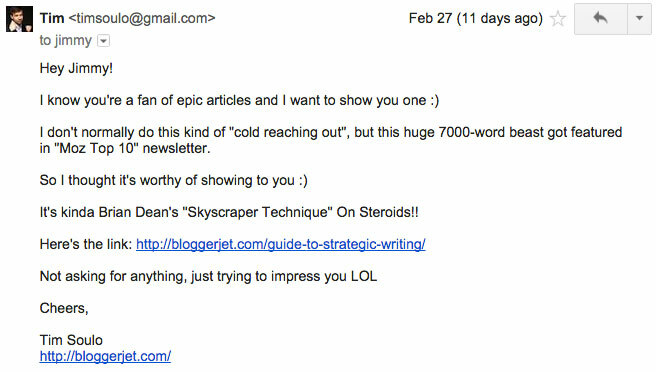 Well my “Guide To Strategic Writing” was a kind of “more in-depth look into the Skyscraper Technique.” Which could only mean that Jimmy would enjoy it just as much as he enjoyed Brian Dean’s article. So whenever you see that some blogger is advocating a certain concept, you can use that as a reason to show him your own version of it. Actually you’re going to make yourself a lot of enemies if you just go out and critique other bloggers. So how come I am suggesting you this as an effective outreach hack? 1. Wait till they ask for it. Dainis Graveris, the proud owner of 1stwebdesigner.com is my very close friend. I left him a huge 500-word comment and told him I have even more advice for him if he’s interested. And guess what? It’s been 5 years and we’re friends ever since! We have met quite a few times (despite living in different countries) and we often talk on Skype and discuss our business strategies. But what if none of the bloggers that you follow is requesting to critique them? 2. Ask for their permission. 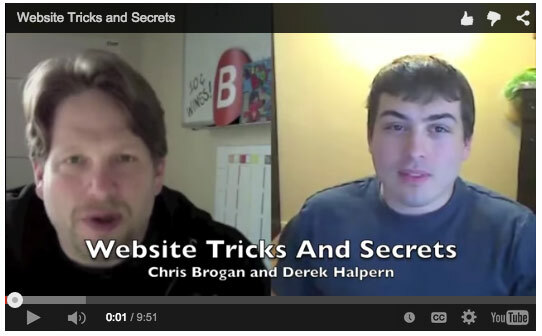 Here’s a list of 7 videos, where Derek Halpern is showing top bloggers what’s wrong about their websites. By saying “top bloggers” I mean huge guys like Chris Brogan, Pat Flynn, Jay Baer, etc. It’s obvious that they didn’t ask anyone to critique their website. It was Derek who reached out to them and offered them his advice. And from what I know, Derek has gained a lot of credibility points from doing that and he’s still friends with all these bloggers. So whenever you notice a blogger doing a wrong thing (or not doing a thing, which you know is right) – reach out and ask for permission to critique them. Honestly you can’t “hack” people into liking you. And there’s no way to maintain a relationship with someone if you’re only willing to use him for your benefit and never actually care about him. That’s why I pick my outreach targets very carefully. I only reach out to a person who I would still hang out with, even knowing that he will never tweet my articles. This is an awesome post and that was an awesome outreach email! Was a nice surprise to see myself in your article on blogger outreach. You did a great job of contacting me – I get between 10 and 25 blogger outreach emails a day and I still remember yours because you provided value. I’m looking forward to your guest post! Well.. I guess my “outro tip” is actually the most important one. I’ve found you while going through people who tweeted my articles. I checked over 50 different blogs, but only a fraction of them really got my attention. Yours was obviously one of them. Your comment about you are who you hang out with, reminded me of a similar article I wrote last year about being average. It would be awesome to get your view on it (http://helpgrowchange.com/average/). :) admitting that you’re guilty is a big thing of it’s own! I’m hanging out on your blog this evening. LOL. Wow, this post was great. I’m loving that you’re incorporating personal proof of what you are doing into your posts. It’s real, refreshing and makes people like me stick around MUCH longer than we intended to ! I think one of the biggest obstacles for me when it comes to blogger outreach is that most of the time I am not even sure what to say to these people. And then of course there is the voice that says “They’re probably too busy to reply to a tiny fish like me”. I know – that is such a limiting mentality but it’s stopped me in my tracks so many times. The “Ben Franklin” tip is a such a no-brainer I can’t even think why I’ve never thought of it. Thanks for sharing Tim. most people never take action and by executing something an influencer taught you, you instantly differentiate yourself from hundreds of others who reach out to him! I love the tips you shared on blogger outreach. Right use of words while writing to an active & expert blogger is literally very important to gain some attention. yeah.. that’s true! And the most important of all is being genuine! we should never forget abou that! Wow. Thanks for the extra tip, Tim. I’ll definitely remember that when I am doing blogger outreach. There are lot of people getting in touch with the top bloggers for sharing their content as guest post or on paid.. But keep in mind that your article should be original and related to the blogger niche..
It’s hard to convince someone to say share my content on your blog even your article is super best..
“Most people never take action and by executing something an influencer taught you, you instantly differentiate yourself from hundreds of others who reach out to him”! I think that it’s my first time here actually! Good to see that my buddy and client Ryan Biddulph here too. this place must be good! Anyway I have tweeted this for you; granted I am still small fry in the world of blogging but if all new bloggers (or ones that have been out of practice like myself) out there stop chasing the pennies and spamming. Hang with the Big Dawgs, Give Epic and Valuable Content and play the Long Game. Then those Blogging Outreach Ops will come knock knock knocking at those doors. To be honest i came here the minute i decided to add TweetDis to the army of WordPress plugins with potentials i promote and this article well is just fantastic. Got an email similar to the number 1 outreach example few days ago and i simply shared the guys article….I had no choice although it was fantastic as well. I could’ve bet he got that idea from your blog post and played a fast one on me since i have no idea this masterpiece exists. I agree with Yogita.. Tim you are awesome with writing.. I had a Skype session with Sue. She too offered me to guest post on her blog. BTW, nice strategies mentioned here. You mentioned some of the most unique methods to connect with influencers. One question clicked in my mind. 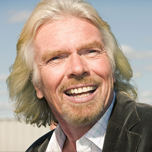 Is it good to pitch a influencer openly in his or her Facebook fan page? Sometimes, it become harder to get connected with influencers. What should we do in this situation?